When doing product reviews, I usually keep in the Grandma zone and stick mostly to non-battery and non-electronic items. 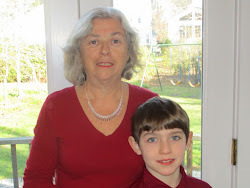 But Grandmas need to know about what is new, exciting and useful for our grandchildren. Our grandchildren, however young, have some exposure to smartphones and tablets. But all tablets are not created equal. Young children can have a more enriched and safe experience on a tablet that is designed just for them. This one, by one of the most respected names in childhood play, is worth knowing more about. Protection – There is a custom bumper around the edges, PLUS there is a hard screen cover which protects the screen. It easily attaches to the back of the tablet when the tablet is in use. My daughter- in-law especially liked this feature. Timer enabled – You can set time limits and bedtime shutoff times. There are a bunch of impressive technical specs also but I’m skipping them in this review. If you read the reviews about this tablet you will find that there is some set-up time patience required. The parents who make it through that labyrinth are very happy with the content and controls. That was my daughter-in-law's experience. If the parent isn’t tech savy at all they can get frustrated. This is going to be true with any product. The more capabilities and controls there are the more complexity. 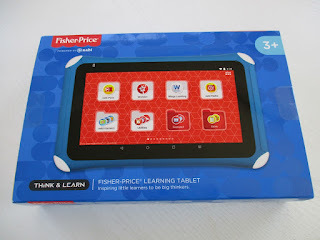 For parents who want their children to have both fun and learning activities on a tablet with secure parental controls and a sturdy casing, the Fisher-Price Learning Tablet can be an excellent choice. Note: I was not compensated to write this review. The opinion expressed is my own. I did receive a product sample for review.